Cookout Dinner! 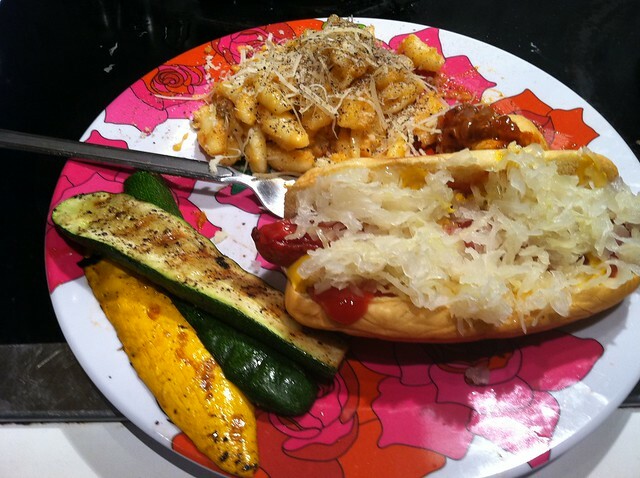 baked mac and cheese with grilled zucchini and hot dogs – ugly food tastes better. 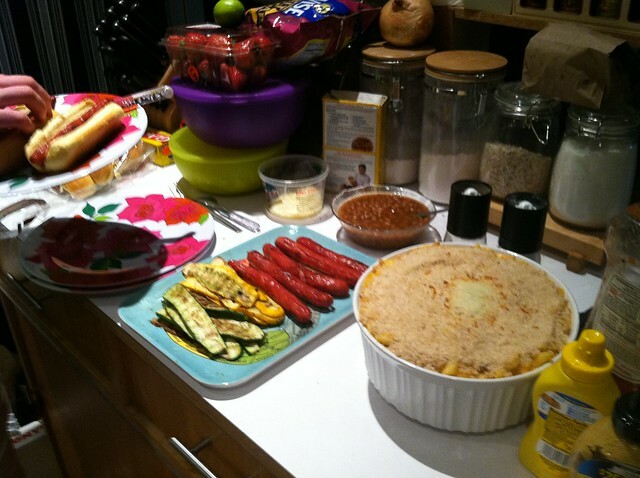 So i had some hot dogs left over from my 4th of July cook out, yellow and green zucchini from my CSA, and men at my house wanting mac and cheese. This is an example of a nice n easy thrown together comfort food dinner at my house. None of this is special or hard to do, but delicious nonetheless. A simple, basic mac and cheese is something I have been making since I was a child, and even though I know how to make a billion different grown-up/fancy ones, I still come back to this recipe from time to time. pasta of your choice. I bought two 12 oz bags of fresh cavatelli. 1 package hot dogs, i had Boar’s Head beef hot dogs in the casing, which are delicious, but come oddly packed in groups of 7.
a splash or two of beer. 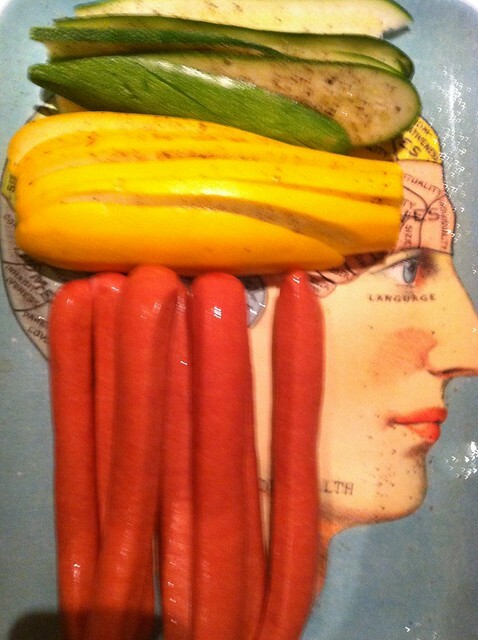 Step 1 – Slice your veggies and spritz with olive oil, then grind sea salt and black pepper on them and place on a grill tray with your hot dogs. Set aside. Step 2 – Cook pasta, rinse and set aside.Melt your butter in a saucepan on medium heat, transfer about 1 tb of it into a bowl of your breadcrumbs and stir about. Set aside. Go back to your saucepan and add your flour, stirring together to form a roux. 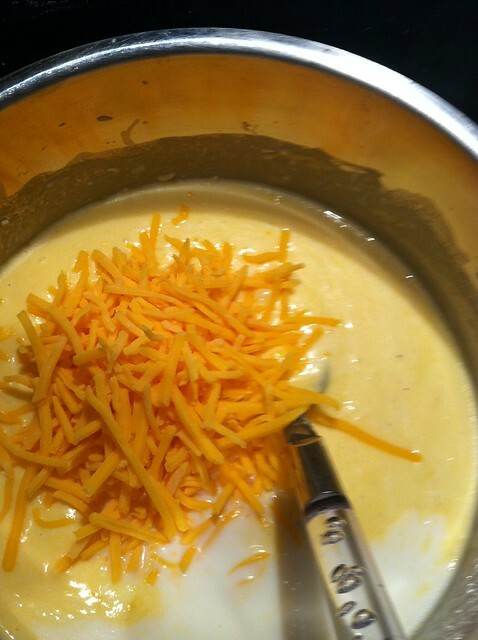 Now start gradually adding your milk and cheeses, constantly stirring until all ingredients and nice and melty. Season to taste. Step 3 – Preheat oven to 400. 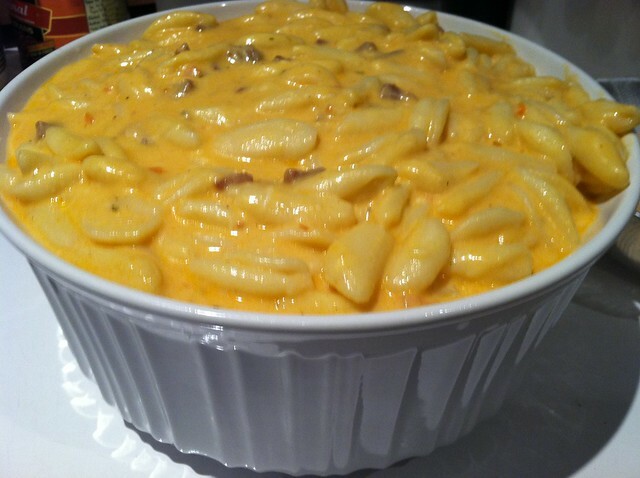 Spray PAM your biggest casserole dish, and layer in pasta and sauce. Here I cheated upon realizing that i had about 1/2 cup leftover Vodka sauce w prosciutto and threw that in too. Make sure all the pasta is wet with sauce. 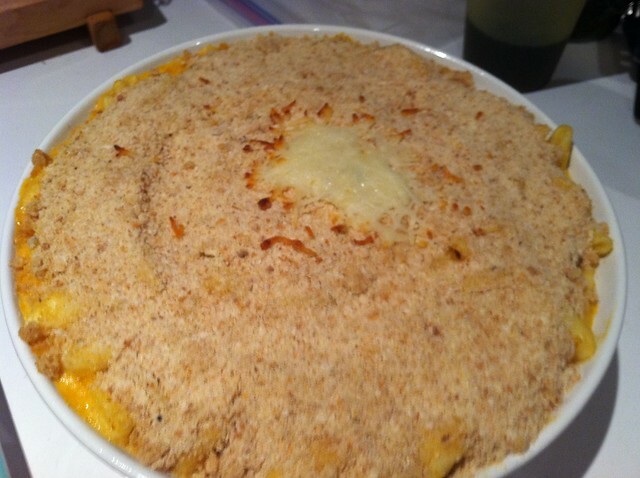 Step 4 – Top with buttered breadcrumbs…i also threw on a handful of shredded cheese for good measure. Pop in the oven to bake for 30 minutes. Step 5 – Take a 15 minute break. I take this time to do dishes. 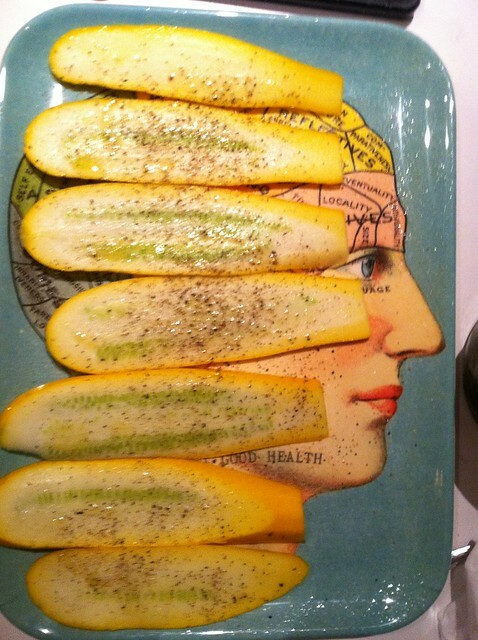 Step 6 – Go heat up your grill and throw everything on for about 10 minutes, flipping your veggies after 5 minutes. 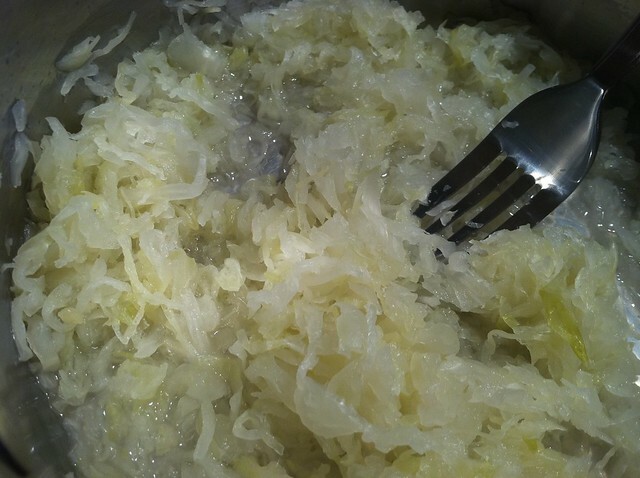 (I like to wait until the hot dogs get black grill marks and pop open) During this time, go ahead and put your sauerkraut and beer in a saucepan on medium low heat, stirring with a fork. Step 7 – Prepare a table with condiments and food and have at it! I like to cover my mac and cheese with a crazy amount of black pepper and freshly shredded parm, personally. 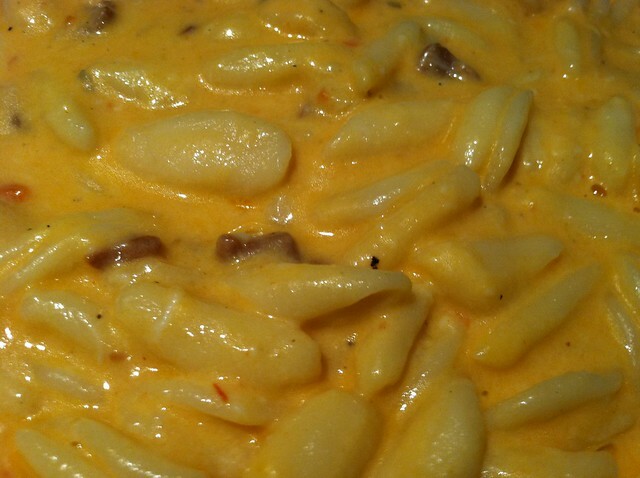 Pingback: Cauliflower Mac and Cheese. | ugly food tastes better.